Through conferences, events, Symphony magazine, their website, and other publications, the League informs people around the world about U.S. orchestral activity. So for three days next June, hundreds of people from across the U.S. and beyond will descend on downtown Nashville to talk, listen, learn, plan, and thrill about orchestral music and the business of running symphony orchestras. Hundreds of musicians, administrators, board members, volunteers, and business partners will be our guests. THE NASHVILLE SYMPHONY WARMS UP BEFORE A PERFORMANCE OF GUSTAV MAHLER’S NINTH SYMPHONY at Schermerhorn Symphony Center, FEBRUARY 27, 2015. The Nashville Symphony will perform during the 74th annual League of American Orchestras conference on June 2, 2019. This special event under the baton of Music Director Giancarlo Guerrero will include Jonathan Leshnoff’s Symphony No. 4, Barber’s Adagio for Strings, and Carl Orff’s Carmina Burana in a unique performance featuring the Nashville Ballet, Nashville Symphony Chorus, Blair Children’s Chorus, and an original film by Duncan Copp. Click here for more information about this special event. This is a very special opportunity for the Nashville Symphony, and for Nashville. In the orchestral world, it’s kind of like hosting the Super Bowl and playing in it at the same time. For three days next June, Music City will be the epicenter of orchestral music in the United States. 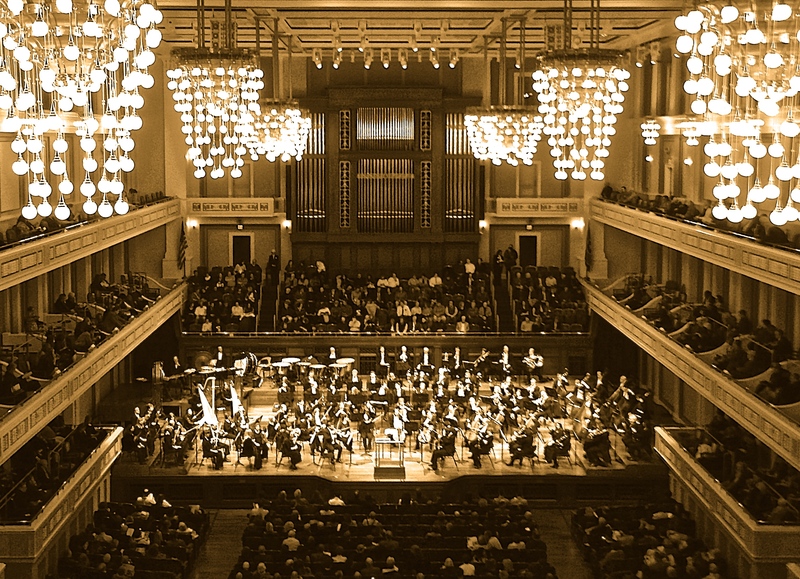 The League conference occurs once a year and is hosted by different U.S. orchestras in turn – the Nashville Symphony last hosted nearly 1400 delegates for this conference in 2007. A lot has changed in our city since then! We are very excited for this conference and are looking forward to sharing the dynamic experience of Nashville and our symphony with our friends and colleagues from other orchestras across the country and around the world. Click here to go to the conferences and meetings page on the League website. By walterbitner in Community, Nashville Symphony on September 14, 2018 .